We review and recommend more than 60 books on occult, philosophical, scientific and religious subjects, many of which are almost completely unknown to either occultists or the general reader. We have not reviewed any books about black magic, witchcraft, the fantasies of conspiracy theorists or the speculations of psychics. If that's what you're looking for you won't find it here. If, on the other hand, you're looking for books that provide clear and plain answers to the many questions sincere seekers after Truth and Wisdom ask, you're in the right place. To read our book reviews, browse the categories below. To learn more about what books we review and why, or how and where to obtain them, read the notes in the sidebar. To learn more about this website and our aims, see our About page. Occult books that do not fall into any specific category. The best classic occult fiction books. Occult biographies containing many occult truths. Dr Michaud's books describe and explain the true laws and principles of Occult Science. Blavatsky's books are essential reading if you wish to learn the Ancient Wisdom. Classic Hermetic books that should be in every occult student's library. A critical review of the teachings and books of the Czech occultist. These five books accurately describe the inhabitants of the Elemental Kingdoms. We review and recommend three books for the serious student of Astrology. We review seven books that discuss Atlantis in a scientific manner. We hope that one or more of the books we review below will strongly appeal to you. If this happens it often means that there exists a special link between you and the thoughts and teachings of the author; and it is always wise to follow up such intuitions. Originally self-published in 1994 by the author on her own (now defunct) website, Argotique. The author made this remarkable book freely available to all who wished to read it. We have followed her generous example by doing the same in creating our PDF, using many of the same illustrations she used. 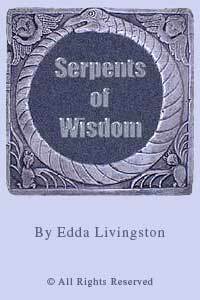 Written in a refreshingly down-to-earth manner, Serpents of Wisdom describes the search for a genuine Spiritual Master in plain language, indicating the many traps and false teachings the seeker may encounter along the way with insight, warmth and wry humour. It is impossible in a short review such as this to do justice to the wealth of real occult facts and information packed into this little book, but the following are some of the many subjects covered: false masters; why asceticism does not lead to illumination; how to distinguish false teachers from genuine ones; willpower; alchemy; true faith versus mere optimism; karma and destiny; magic; reincarnation; sensible spiritual meditation; mental transformation; the higher and lower selves; black magic in modern science (this will be an eye-opener for many); the importance of simplicity; real, effective prayer; and how to make oneself ready for the True Teacher. Those who have spent many years swimming in an ocean of New Age nonsense, will welcome the clarity this book sheds on the many wrong teachings and speculations masquerading as Truth. The author pulls no punches in lambasting the many past and present vultures in human form who prey upon the weaknesses and gullibility of those seeking a spiritual Master. For this reason alone, we highly recommend this unusual little book to the beginner in occult studies, as well as those who are well advanced upon the path to the Light. You can read a short extract from this book in the sidebar further down this page. Readers who enjoy this book may also like The White Brother by Michael Juste, reviewed on our OCCULT BIOGRAPHY books page. Trübner & Co, London, 1872. Photographic facsimile of the original edition. The Book of Enoch is one of the most important sacred texts ever written and the least known. The fate of such apocryphal writings has been singular. 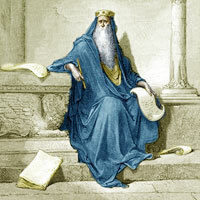 On the one hand, under the influence of theological opinion and caprice, they have been sometimes injudiciously admitted into the canon of Scripture; while on the other, from a zealous desire to preserve that canon inviolate, they have not simply been rejected, but loaded with every epithet of contempt and obloquy. The versions of the Book of Enoch issued by Archbishop Laurence in 1883 and R. H. Charles in 1917 are based on translations from documents preserved by the Ethiopic Church, large portions of which are nonsensical and lack the clarity, grandeur and sublime beauty of Dr Kenealy's book. To a critical eye, as Laurence admits, the book he translated appears to be the work of two or three different persons, living in different periods, just as the bulk of the writings which now constitute the Old Testament have been proven to be. This fact did not escape the notice of the Archbishop: but wedded to a system of which he was one of the Praetorian Guard, it did not occur to him that it was expedient to separate the true from the false, the old from the new; and he accordingly translated the whole of what he had, treating it however as a figment by some ingenious Jew whom he supposes to have lived before the advent of Jesus! If this were true, it raises several awkward questions. Why did this person forge the book in Hebrew in the first place? How did it become lost? Why should it have been translated into the Abyssinian and Greek, and into no other known languages? And under what delusion did the Church Father, Tertullian labour, when, in his tract on Idolatry, he refers to the book as the work of the most ancient prophet Enoch? The learned Archbishop has not thought it worthy to answer any of these questions in his spurious version of the book. Instead, he has, like all such writers, indulged in assertions and speculations which he would have his readers accept without question, as if they themselves furnished the most convincing proofs. The fact that the Book of Enoch was classed by some of the Church Fathers among the apocryphal writings, proves nothing. Apocryphal does not mean spurious or untrue, as the multitude are taught to believe: the word is taken from the Greek apo—"away" + kryptein "to hide". That is, a book hidden away from the multitude, because it contained secrets the multitude should not know. Irenaeus and Clement of Alexandria, writing in the second century, do not deny the authenticity of the book. Tertullian in the same age quotes from it as authentic. Origen, who in most theological matters is worth a phalanx of those canonized imposters, does not throw any doubt upon the work, though he admits that it was not wholly accepted by the Churches. It is interesting in this connection that St. Augustine wrote in the City of God, that the Church rejected the book from its canon owing to its too great antiquity. There was simply no room for the events described in it within the limit of the 4,000 years B.C. assigned to the world from its creation by dogmatic Christianity! The Divine truths and laws revealed in Kenealy's book were once the code of the vast empire of Atlantis, from whence it spread throughout the then known world, only to disappear at an early period of the so-called Christian era, when the early Church began to destroy every book it could lay its despoiling hands upon which was not in complete conformity with its religious dogmas. It is for these reasons that the only genuine edition of the book we know is that written by Dr. E.V. Kenealy, a man of immense learning and great sincerity, for whom we have the greatest respect. His edition is also in harmony with the true version of the Apocalypse, and not the distorted copy of it which appears in the Christian Bible. This fact alone explains the disappearance of the original Book of Enoch for so many centuries. 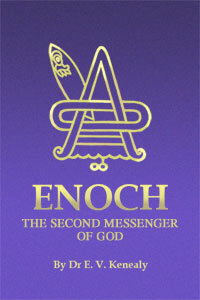 The Book of Enoch is a summary of the history of the previous races of Mankind, and of the Atlantean race in particular, some prophecies regarding our present age and a long retrospective, introspective and prophetic summary of universal and genuinely historical events, together with the philosophy, cosmogony and religion of the very ancient past. The PDF we have made available is a photographic facsimile of the original edition of 1872 digitised by Google Books in 2013 from a copy held in the Koninklijke Bibliotheek, (National Library) of the Netherlands. Those who are genuinely in search of Truth will recognise this book as an authentic revelation of the Ancient Wisdom, filled with true elucidations of the mysteries of Life. As Dr Kenealy himself says in his introduction: "Those who examine it fairly will be convinced that it is one of the most ancient and authentic volumes in the world; those who are too lazy, too cunning, or too sensual to do so, will go to their priests to ask them how they shall believe, and their priests, as usual, will add a new rivet to their fetters, and tell them it is 'apocryphal." Harsh words, but eminently true! NOTE: An adaptation of the first edition was privately published in 2007 bound in one volume by Isiris International Ltd, but as this contains barely half of Kenealy's text and also omits the many illustrations in the original edition, we do not recommend it. Wilder Publications 2008. ISBN 978-1604590388. Softcover, 128pp. Price new from £4.99. Also available as a Kindle edition, and second-hand in various editions from as little as £1.00. Ralph Waldo Trine presents the eternal Spiritual and material truths of Life in a clear and simple manner which all can understand. It requires no great intellect or education to apply the very simple laws which he so beautifully reveals in this inspired book. In the degree that you do so you will change sadness into joy, failure into success and weakness into strength. Although claimed by many as a pioneer of 'New Age' teaching, there is nothing in Trine's message that was not known and taught thousands of years ago. We hear the same truths from the immortal lips of inspired teachers like Jesus, Buddha and Krishna. Trine's great accomplishment was to re-state these truths in simple words that even a child can understand and to make them accessible to millions. This is no accident; for the truth is always simple if we are simple enough to recognise it when it is presented to us. Sadly, so many seekers desire mystery, glamour and complexity. Such will turn away from the simplicity of this book. But the simple in mind and heart will recognise the Truth within its luminous pages. It will remind them in no uncertain manner that the keys to health, happiness and success are to be found within and not without. As the Author says in his Prelude: "THE optimist is right. The pessimist is right. The one differs from the other as the light from the dark. Yet both are right. Each is right from their own particular point of view, and this point of view is the determining factor in the life of each. It determines as to whether it is a life of power or of impotence...of success or of failure." How true these words are! Do we not all know seekers whose 'glass is always half-empty'?—who fear the worst and anticipate disaster and disappointment at every turn? And is it not also true that such people often live lives of sorrow, confusion, ill-health and failure? But it needn't be like this. In US lies the power to change our own individual lives for the better. And in the degree that we do so we shall change the lives of others around us and the world in general. This is the simple way to bring peace and light into this sorely-troubled world. It needs no 'occult powers' nor special training to do so. All it requires is an understanding of the TRUE LAWS of Life and a willingness to put them into practise in our daily lives. This is the SIMPLE message which Ralph Waldo Trine gave to the world over 100 years ago. You can find a series of short extracts from In Tune with the Infinite in the afterword to our article on the law of attraction. Published by Lead Kindly Light, 2018. Free to read online and download in PDF format. This most unusual book takes the reader on a remarkable mental journey through the Zodiacal constellations and signs. 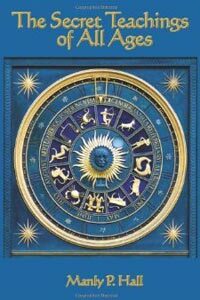 Many people confuse the Zodiacal signs with the constellations of the same name, but they are not the same, as this book makes clear. As we discuss in our article on the Art and Science of Astrology, modern Astrology has been largely stripped of astronomy and the esoteric, or hidden meaning of the stars and constellations, without which the important messages they have for us cannot be read or understood. The Song of Laughing Boy does much to redress this regrettable omission by providing the intuitive reader with many valuable clues to the great occult truths concealed within the scroll of the starry firmament. As such the book should appeal to serious esoteric astrologers as well as truth-seekers of all kinds who wish to uncover the hidden meaning of the many myths and legends that have been woven around the major stars and constellations. Although the author does not tell us who the 'Laughing Boy' of the title is, the judicious reader will realise who and what he is referring to. Whether we call him Horus, or Christ or Krishna his holy message of light, laughter and joy is universal. It has rung forth in every age and among every people on earth, calling all those who long for liberation home. The sacred mythology of the constellations and stars describes the stages in that journey. A journey we are all engaged upon, whether we realise it or not. Each Zodiacal constellation and sign corresponds to one of these stages as well as to certain principles in man, especially to the Higher and lower self and their conjoint evolution. The constellations also symbolise certain points on the homeward way, as well as different occult laws and their activity in man and Kosmos. The stars are a mystic scroll, a Heavenly book, within which the Initiate beholds the secrets of God and Man. Even if we are not initiates, this strange little book can be of immense value to the thinking seeker, shedding light on many a mystery, both in his inner as well as his outer life, and this is the principal reason we heartily recommend it. NOTE: You can read more about Lead Kindly Light on our Links page. Penguin books 1965. Re-printed by Penguin Classics 2005. ISBN 978-0140441635. Softcover, 144pp. Price new £7.99. Read an abstract adapted from the Introduction to the book. The Upanishads have rightly been described as the 'Himalayas of the Soul' and we regard this selection from them by Juan Mascaro as the finest and most accurate translations ever rendered into English. Readers who are unfamiliar with these sublime spiritual treatises on Man, God and the Universe are advised to read our abstract adapted from the translator's introduction to the book. Born in Majorca of Spanish parents in 1897, Juan Mascaro's own search for Truth began at the tender age of 13 when he studied a book on occultism. This led to his discovery of an inferior English translation of the Bhagavad Gita which inspired him to learn Sanskrit by himself. He went on to study and teach at Cambridge University, in England, where he lectured on the spiritual values in the Bible and Spanish mysticism. He died in Cambridge in 1987 at the ripe old age of 90, having left the world some of the finest translations of the sacred texts of Hinduism ever written. Rabindranath Tagore, the famous Bengali poet wrote in a letter to Mascaro that he had "caught from those great words the inner voice that goes beyond the boundaries of words." We agree and do not doubt that Mascaro's early occult studies greatly helped him to imbue his masterly translation with the fire of true inspiration which shines from every page of this book. For this is an occult book in the best and highest sense of that much misunderstood word, which contains some of the most elevated spiritual truths ever composed by the hand of man. These timeless treatises upon Truth are as far removed from the dry and dusty curiosities of religious scholarship as the Sun is removed from a guttering candle in a dark cellar filled with bemused bats. H. P. Blavatsky tells us that upa-ni-shad is a compound word meaning "the conquest of ignorance by the revelation of secret, spiritual knowledge." Mascaro confirms this in his introduction where he says that Upanishad means to "sit at the feet of the Master", which means the same and is the same, for one cannot learn the true occult sciences without a spiritual Master as we point out in many of our articles. The Upanishads are to the Vedas what the Qabbalah is to the Jewish Bible. 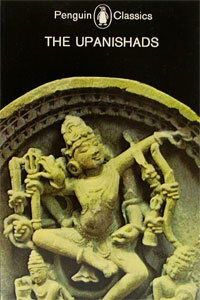 They treat of and expound the secret meaning of the Vedic texts and the occult sciences. Every sincere seeker who truly longs to scale the mountain of Truth should read the Upanishads, for in few other sacred texts can we find such clear and simple instructions to guide the feet of the traveller on the path to the Light. 1st UK Edition, Wildwood House, London 1979. Hardcover 253pp. ISBN 07045 02690. Illustrated with 140 photographs and line drawings. Price from £20.00 second-hand. New paperback edition 266pp, Quest Books, USA 1996. ISBN 978-0835606912. Price £21.00. We first read John Anthony West's groundbreaking reinterpretation of the science and civilisation of Egypt more than 30 years ago and were deeply impressed by it. We remain impressed today, for what he has to say about the wisdom of ancient Egypt has rarely been expressed more clearly or completely by any other popular author. West challenged the prevailing dogmas about ancient Egypt for the very first time, providing a generation of readers with information which had either been suppressed, ignored or misinterpreted by orthodox archaeologists and Egyptologists. The service West has rendered to scholars and ordinary readers alike cannot be underestimated. By summarising and extending the work of the philosopher and mathematician, R. A. Schwaller de Lubicz, he has not only made the ancient Egyptian sciences of art, architecture, mathematics, geometry and philosophy comprehensible to the lay reader who knows little or nothing about these subjects, but provided the serious occult student with a wealth of hitherto scarce and invaluable information on the hidden wisdom of ancient Egypt. While we would recommend Schwaller de Lubicz's own books to those who wish to delve more deeply into the sacred sciences of ancient Egypt, his magnum opus—The Temple of Man—runs to over 1,000 pages and is not cheap at nearly £170 for the hardcover edition published by Inner Traditions in 1998. For most readers, Serpent in the Sky covers the same ground as de Lubicz, and is considerably easier to read. West is no New Age apologist promoting the weirder speculations of conspiracy theorists, but a conscientious and accomplished scholar who has the advantage over most orthodox Egyptologists in that he writes with great clarity, acuity and humour, dispelling the many popular misconceptions which surround the subject of ancient Egypt and its civilisation with rapier-like wit and inescapable logic. If you are fascinated by ancient Egypt (and we know few seekers after truth who are not) you will not be disappointed by this book. 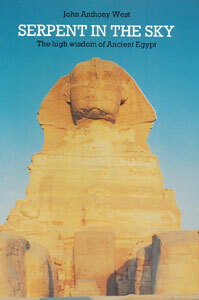 NOTE: The revised paperback edition published in 1996 includes an update on the author's dating of the Sphinx. Penguin Books, London 1978. ISBN 0140051082. Softcover, 416pp. Price secondhand from £1.00 in the UK. Although written over 40 years ago, this lavishly illustrated book remains the most comprehensive compendium of accurate facts and data about the Great Pyramid we know. As secondhand copies of the 1978 softcover edition (shown at right) are readily available in the UK and USA from just £1.00 there has never been a better time to add this book to your occult library. 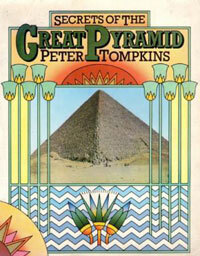 Many contemporary writers about Egypt, such as Graham Hancock, John Anthony West (see previous review) and Robert Bauval, have drawn much of their material from the enormous amount of data Tompkins collected together for his book. The book contains over 300 illustrations from sources ranging from the twenty-volume survey of Egypt commissioned by Napoleon to the first photographs taken inside the Pyramid in 1865; and an appendix by Professor Stecchini on the relations of ancient measures to the Great Pyramid. From the first Arabian investigations in the 8th century, to the latest theories and explanations, this book relates the complete history of the exploration of the Great Pyramid. Peter Tompkins recounts the explorations and adventures of the archaeologists, treasure-hunters, soldiers, scientists and eccentrics who have tunnelled into and studied the Pyramid over many centuries. He analyses the various theories as to how and why the Pyramid was built, and its relation to other monumental structures of antiquity, including Stonehenge and the ziggurats of Babylon. Whilst we would not necessarily endorse all the author's conclusions about the purpose and function of the Great Pyramid, we know of no other book in which so many different theories have been presented in such a thoroughly sensible and scientific manner. This is in sharp contrast to many newer books on the subject, which, we are sorry to say, promote the most improbable fantasies based on variations of the same crackpot theories Tompkins demolishes in this book. Among these theories may be included the hair-brained notion that the Great Pyramid was a 'nuclear' power station, a prophetic device to predict the future or was built by aliens. Several chapters in the book will be of great interest to occult students, not least those which explore the many astronomical, astrological and mystical aspects of this mysterious monument, whose primary purpose was a Temple of Initiation into the ancient Mysteries, as many of our readers will know. For these reasons alone we highly recommend this book. Nor has there been a better time to snap it up with secondhand copies available for as little as £1.00! Theosophical Publishing House, London, 1890, 1902, 1911 and 1973. 1973 4th edition, hardcover, 120pps, ISBN 0722950276. We feel compelled to begin this review with an apology. Numerology cannot be picked up piecemeal in an idle hour or two. Nor can it be used to tell 'fortunes' as many people have been led to believe. If that is your desire, we suggest that you take up reading tea-leaves or the Tarot! As we point out in our article on symbolism, the students of Pythagoras spent seven years learning the basic principles of the sacred science of numbers, as you can read in our article on numerology. Consequently, Westcott's book, like our own article, should be regarded as an introduction to this vast and complex subject, not a complete course of instruction in the science of numbers, which cannot be condensed down into a slim volume of just 120 pages. The book was first published in 1890 as volume IX of Collectanea Hermetica, a series of 9 books on the occult sciences issued under the imprimatur of the Theosophical Society with Westcott as editor. Westcott expanded and revised the book in 1902 and 1911. A 4th edition was published in 1974, which is the edition shown at right that we have used for this review. Those who judiciously study this book will gain a first-rate understanding of the main principles of the hidden properties and meaning of numbers. Westcott drew on an immense number of ancient Greek, Roman, Chaldean, Hebraic, Egyptian, Chinese and Sanskrit sources for this book, as well as the writings of Eliphas Levi, the Egyptologist E.A. Wallis Budge, Thomas Taylor, Godfrey Higgins, Michael Maier, Gerald Massey and H. P. Blavatsky. But Westcott's main source, and the reason that this book is of such value to the serious occult student, are the teachings of Pythagoras himself, which the author has collected together from the fragmentary remains of the writings of the Sage's pupils. The science of numbers is one of the most important keys that unlocks the secrets of man and the universe. As H. P. Blavatsky said so truly: "Everything in the Universe was framed according to the eternal proportions and combinations of numbers—God geometrises—and numbers and numerals are the fundamental basis of all systems of mysticism, philosophy, and religion." Pythagoras stated that the Monad or unity, emanated the Dyad, and thus formed the spiritual trinity, from which is derived the quaternary, or the mystic four, the number of the material world. These numbers comprise the totality of the forces of Nature and the principles of man, both of which are seven in number. ISBN: 9780722950272. Otherwise, read the free e-text at the Sacred Text Archive, which so far as we can tell, is verbatim with the 3rd edition of 1911. The Aquarian Press, Wellingborough, UK, 1982. Softcover, 85pps. ISBN 0850302773. Price from £7.00 second-hand. This rare book on the metaphysical doctrines, religion and magical practises of ancient Egypt was first published as volume VIII of Collectanea Hermetica (see above review), in 1896. Although the book was written at a time when the science of Egyptology was in its infancy, this in no way negates the invaluable esoteric lore the author has collected from the translations of Egyptian papyri available to her in the 19th century, which remain as much of an enigma to modern scholars as they were to Egyptologists in Farr's time. Understandably, she draws heavily on the books of E. A. Wallis Budge, now sadly out of favour among Egyptologists for reasons of political correctness rather than scholarship in which he vastly exceeded all his modern contemporaries put together. The book includes a detailed examination and discussion of reincarnation, initiation, evolution and the afterlife which is in complete accord with the true laws and principles of occult science as expounded in many of our articles. 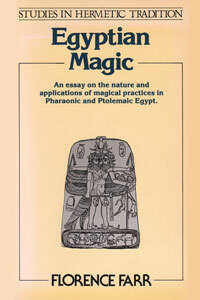 Farr correctly deduced that the principles of Egyptian magic were based on an elaborate series of correspondences derived from the fact that material and spiritual evolution follow the same Hermetic law of 'As above; so below', and that matter and spirit are the opposite states of the one Universal Substance, or Prima Materia. The book begins with a dissertation upon the seven principles of man as they were known in ancient Egypt, explaining how they enter into the body at birth, what happens to them at death, and the manner in which they are connected. Later chapters include several so-called 'spells' taken from the Book of the Dead, which are nothing of the kind, for all these exhortations and prayers are nothing more nor less than allegorical representations of the various transformations the Higher Self undergoes during life and after death. Over half the book is taken up with extracts from a Gnostic papyrus entitled The Book of Knowledge of the Invisible God, which forms part of the Bruce codex found in Upper Egypt in 1769, and now preserved in the Bodleian Library, in Oxford. This luminous text is reminiscent of the Pistis Sophia in parts and consists of some of the esoteric teachings Jesus imparted to his disciples after his resurrection. These alone make this little book well worth studying. You can read about the hidden meaning of the resurrection in our article about the esoteric meaning of Easter. An Encyclopedic Outline of Masonic, Hermetic, Qabbalistic and Rosicrucian Symbolical Philosophy. Being an Interpretation of the Secret Teachings concealed within the Rituals, Allegories, and Mysteries of all Ages. San Francisco, USA., 1928. 200pps. 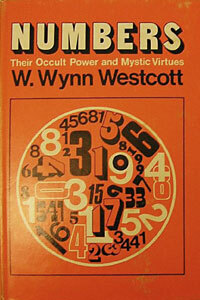 There cannot be many readers interested in the occult who have not heard of this book. Manly P. Hall self-published this monumental survey of the ancient wisdom and the occult sciences at his own expense in 1928. The only reason we have not reviewed it before is that until recently it was both scarce and expensive. Fortunately, an affordable paperback edition is now available as well as an excellent e-text at Sacred Texts which is freely available for all to read online. So far as we have been able to ascertain this e-text is an exact facsimile of the original edition complete with all the black and white illustrations found in the printed book, though the colour illustrations which fronted each chapter have been omitted for reasons of economy and copyright. Those who study this book in its entirety will gain a broad understanding of such varied subjects as the Qabbalah, Alchemy, Magic, Astrology, Neo-Platonism, Egyptian Hermetic Philosophy, Pythagorean mathematics, Native American myths, the esotericism of the Shakespearean dramas, the various Mystery Religions and ancient Mystery Schools of Greece and Egypt, and their modern offshoots of Rosicrucianism and Freemasonry. The number of ancient and modern sources Hall drew upon for his magnum opus is quite extraordinary. Aside from the works of Plato, Aristotle, Plutarch and Iamblichus, he cites translations of the Gnostic, Nicene, and Hermetic literature, the writings of Paracelsus, Ptolemy, Roger Bacon, Basil Valentine, Cornelius Agrippa, Eliphas Levi and H. P. Blavatsky, to name just a few of the most well-known writers on the ancient wisdom and occult sciences. This is not to say that the book does not contain several errors. Among these may be mentioned Hall's contention that the Roma or Gypsies came from Egypt, a view which was popular in the 19th and early 20th centuries. We now know this to be incorrect. He also contends that the Tarot may be traced back to the religious symbolism of the ancient Egyptians, when in fact it was the product of the Rosicrucians of the 18th century who drew upon the Jewish mysticism of the Qabbalah for its symbolism, not the ancient Egyptian Wisdom teachings. But these shortcomings in no way spoil what is one of the most comprehensive surveys of the ancient Wisdom and occult sciences ever compiled, and that is the reason we recommend Manly P Hall's book to our readers. IMPORTANT NOTE! There are now several editions of this book available including various 'print-on-demand' and Kindle versions which are badly typeset and omit many or all of the illustrations of the original. So far as we have been able to ascertain, the most complete edition was the hardcover University Edition published by the Philosophical Research Society (PRS) in 2008, but at $225 this is very expensive. The "Reduced Size Paperback" published in 1978 and reprinted in 1988 and 2000 by the PRS, costs from $30 second-hand or $65 new. It includes 54 symbolic colour plates, foldouts and an overlay as well as 200 black and white illustrations, an extensive bibliography and complete index. ISBN 10: 0-89314-830-X and ISBN 13: 9780893148300. First published Philadelphia 1888. Reprinted by Samuel Weiser Inc, New York, 1970 (1st Ed.) & 1972 (2nd Ed). Hardcover, 497pp inc 26pp index. ISBN 0-87728-008-8. Copiously illustrated with monochrome plates throughout. Price second-hand from £25.00. There is also a paperback edition published by Elibron Classics in 2001, which is a photographic (facsimile) reprint of the 1888 edition, available from Amazon.co.uk, price new £9.99—see direct link below. 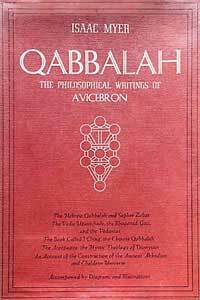 The Qabbalah (also written "Kabbalah", "Cabala", etc), which word means "doctrines received by tradition"—is a system of Jewish theosophy that played an important part in the establishment of the Christian Church. As such, it is a valuable work for the study of the origin of religions and their philosophy in general, and the origin of the formulations, dogmas and doctrines of early Christianity in particular. We would add that Isaac Meyer's book has nothing whatsoever to do with the fashionable craze of 'kabbalah' popularised by various Hollywood celebrities in recent years! First published at the author's own expense in 1888, Meyer's Qabbalah remains the most accessible and readable summary of these important Hebrew writings that we know of. The book includes a short account of the life and writings of the philosopher, Solomon ben Yehudah Ibn Gebirol or Avicebron; some parts of the Qabbalistic philosophy, quotations from the Zoharic books, explanations of many New Testament passages, the basic element in Religions, and extracts from the so-called "Pagan" writers on the Invisible and Visible and the Ideal and Real. In addition, the book contains Qabbalistic accounts of the Creation which should be of interest to every seeker, for it is only by carefully comparing the various accounts to be found in the sacred books of all times that the diligent student may arrive at a true conception of the origins of Man and the Universe. The book also contains important discussions upon the nature of illusion, sound, colour and rhythm, and an interesting article on an Ancient Lodge of Initiates. For those interested in making a deeper study of Jewish Mysticism it is important to get as close as possible to the original sources upon which the early philosophers erected the doctrine and teaching of the Kabbalah. For this reason we also recommend two further classic books on this system of Jewish theosophy. These are: The Kabbalah: its Doctrines, Development, and Literature by Christian David Ginsburg, published by G Routledge & Sons, London, 1920 and The Kabbalah or the Religious Philosophy of the Hebrews by Adolphe Franck (translated by I. Sossnitz) 1926. 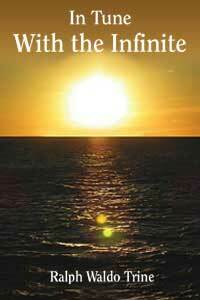 This latter book is available to read online in HTML format at the Internet Sacred Text Archive. We review this superb compendium of sacred and occult texts on our Links page. NOTE. We recommend the edition published by Weiser Books in 1970/72 (ISBN 0-87728-008-8), OR the photographic reprint by Elibron Classics published by Adamant Media Corporation in 2001 (ISBN 978-1402185038). We do not recommend the Kindle and other electronic editions sold by Amazon and other sellers, as these often suffer from missing or blurred pages, missing or poorly scanned pictures, and other imperfections that make such ebooks virtually unreadable. by William T. Fernie M.D. Originally published in 1907 under the title Precious Stones: For Curative Wear; and other Remedial Uses; Likewise The Nobler Metals. 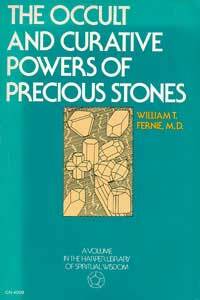 Although it was first published more than 100 years ago, W. T. Fernie's seminal source book on the various occult, alchemical, historical, mythological and magical lore and properties associated with precious stones and minerals has never been equalled. The book is a virtual encyclopedia of invaluable information about stones and metals, and copiously enlivened with anecdotes and historical information on how precious and semi-precious stones and metals were used in the past. Given the present-day fascination with "crystals" and the very many uses (and we may say many more "abuses") to which they are now put, the serious student of occultism will find this book indispensable in his researches into the historical and occult lore of gems of all kinds. Having said that, the book is not without errors and should not be taken as an infallible guide to the use of precious stones for occult purposes. The real occult facts about precious stones and their employment have and always will remain a closely-guarded secret for the reasons we give in our Occult FAQ. NOTE. As we update this review in December 2017, the edition of this book published by Rudolf Steiner Publications illustrated above has become quite scarce and expensive. However, we hope to make a PDF of the book available for free download in the future. This page was last updated on 6 January 2019 — © Copyright occult-mysteries.org. You can search for specific books or authors by entering you search term into the search box above. For TIPS on how to search effectively, please read the advice given on our SEARCH RESULTS page. "Of the making of many books there is no end." This reminds us of a very good friend of ours, a Mystic and Seer of wide experience and great wisdom, who, when he was asked which of the many thousands of rare occult books in his library he would recommend, he said "None of 'em!!" We agree with him. The fact of the matter is that with very few exceptions, the books which are recommended to Occult students are often chaotic in their contents and contradict one another. The problem is that it is impossible to put the most profound spiritual and mystical experiences into words that cannot be misunderstood by a large number of seekers. We only have to consider the many different interpretations of the Bible and other Sacred books to know that this is true. We could easily have reviewed 500 occult books, or 5000, but whether acquiring that many books leads to knowledge and understanding or confusion and mental indigestion, is a question we leave our readers to ponder. . . Moreover, in all our wide experience of occult and mystical literature, we know of no books that do not contain some errors, while in most truth and error are so inextricably intertwined that only a trained Occultist can sift the one from the other. Yet some truth is better than none. This is especially true of the thousands of new occult books that are now appearing, very few which of contain anything that has not been said better before. This answers the question we have often been asked as to why so many of the books we do review were published in the last century or even earlier. "Let a Lover of truth suspect things that are quickly understood; for truth lies hid in obscurity; for Philosophers never write more deceitfully—than when plainly, nor ever more truly—than when obscurely." This is true, though it may come as a shock to those who imagine there is a secret 'Da Vinci' code which at a stroke will magically 'unlock' the obscure allegories, arcane symbolism and archaic language used by occultists, mystics and philosophers. We're afraid that no such 'code' exists, has existed, or ever will exist, except in the minds of novelists and conspiracy theorists. It requires wide reading, long study, intuition and sheer hard work to discover the hidden meaning in the best occult books as we explain in our occult studies course. Then, if you wish to learn more, The Secret Teachings of All Ages is a readable and comprehensive introduction to the occult sciences for those who know little or nothing about them. Those who prefer to read the personal experiences of seekers, should enjoy Serpents of Wisdom or The White Brother. Both these books were written by authors who drew on their own personal experience to describe the search for a genuine spiritual teacher and answer the many questions asked by beginners. These two books are reviewed on this website and can be downloaded in PDF format. In addition, we would also recommend In Tune with the Infinite by Ralph Waldo Trine. Although not an 'occult' book in the strict sense, it presents the Eternal Truths of life with great clarity and simplicity—and just as importantly—how to apply them to improve your life, health, wealth and happiness. Finally, we strongly recommend that you read and study Astral Conversations—a series of articles in which two typical occult students—one a mere beginner—discuss many different subjects and provide plain, no-nonsense answers to them. You have probably come to the realization that there are no listings of Masters and true Teachers in the Yellow Pages. It is possible to find psychics, astrologers, and other such flora and fauna, and you may even find advertisements in metaphysical-type magazines for birds of ill-omen who call themselves masters, but unless we have polyps for brains, we ought to know that the only thing they are masters of, is deceit of an expensive kind. The ill-advised followers of these self-appointed teachers, swallow wholesale the most absurd propositions put forward by these coolies of the Occult; these poachers on Spiritual grounds. But is there a single Master among them? An Adept, perhaps? Or an Initiate? The sad but true answer is NO—not one. There is not even a good imitation of one. So where will you find one? Do you think you would recognize a Master if you did meet one? Are you under the impression that he would advertise his Mastership by wearing saffron robes? Flowing locks? Sandals? A halo? A crown of thorns? Or could it possibly be that he is so well hidden because he looks like any one of us, giving us no obvious signs to recognize him by, and, in this manner, throwing us back on our ability to tell Truth from falsehood? How many of us are willing or able to know and welcome Mastership or Adeptship by listening to words of Truth? The majority seem to prefer personality, fame, and drivellers of ineptitude who reconfirms our preconceived opinions. And what does a Master do with all his Wisdom and Power? How come, if they are as wise and as powerful as they are cracked up to be, don't they put an end to world hunger and injustice, and to wars? How easy that would be for us! We could then carry on as our usual intolerant, greedy and unrespectable selves, and have the Masters die on an assortment of crosses on our behalf—pay the consequences for us, so to speak. Ah, what bliss! Heaven on Earth! We could wallow in our smooth sinfulness without effort or care, until we turned into elemental dust and blew away. Holy Hades! There would be no need to learn anything at all and we could sit around in our recliners, like the dross of hell, moaning and griping about everything and everyone. Is this what we would like? It seems to be what the majority would like, since it is what the majority does. And anyway, to the ordinary man, all that stuff about Masters, Wisdom, Light and Love, has no meaning—it makes him yawn. What matters to him is profit, the latest football scores, fun, food, and lots of sleep. If you talk to this kind of plebeian about the more elevated things—things of the Spirit and of the Higher man, he will probably brush you aside with: 'In my opinion, that's a lot of bull.' and it will be your own fault for thoughtlessly throwing your pearls before the swine. Your hard gained pearls of wisdom will be trampled underfoot, and neither you nor the plebeian you sought to enlighten will have gained a thing by your eagerness to share your new-found Light. Regretfully, you will soon learn that most men shun the light like so many vampires hiding in their coffins as soon as the sun comes out. The 19th Century occultist, Eliphas Levi said that: "Fools are the people who kill men of genius", and we might add that they are also fond of killing the Messengers sent to us from God." We all know what crass humanity did to Jesus. Apollonius of Tyana was thrown into prison and later tortured to death; Daniel was thrown to the lions; Raymund Lully was stoned to death; Joan of Arc was burnt at the stake; Ibn Gebirol, the Kabbalist, was murdered; Jaques Cazotte, the seer, was executed, and Socrates was condemned to death. Pythagoras had to flee from the tyranny of Polycrates. Cagliostro died while confined in prison; Giordano Bruno was burnt alive; Sendivogius was imprisoned and tortured; Paracelsus and Agrippa were forced to spend their lives as wretched wanderers. . . and the list goes on. You may argue that all this took place a long time ago, that we are more civilized these days and would never tolerate such barbaric behaviour. Don't believe it! Human nature does not change much, and however arrogant and self-satisfied modern man is concerning his latest achievements and so-called progress, he is still as stupid and as cruel as ever. Fools are still persecuting and killing messengers, whether physically or by ridicule and calumny, who irritate them, or who hold views considered threatening. This is one of the reasons why the Wise keep silent as to who, what and where they are—and maybe—to a lesser extent, so should you. It is also wrong to foist your beliefs on others who may be at a different stage on the Path than yourself; or who may simply be going by a different route. Since it is only possible for us to understand something up to our own level, how would we know if we were foisting ourselves and our beliefs on those who have far surpassed us in knowledge and Wisdom? And yet, people do all the time, unaware of the pitying and gentle smiles of those who can see through them. And although you should always protect the fellow traveller lower than yourself on the ladder to the Light, you must at all times guard against being preached at or dictated to by them. As for the majority, those who care not, let them go on their merry way, without judging them, but at the same time make sure that you see them for what they are, freeing you from the danger of falling for outward trappings. Do not be like the "false prophet", spoken of by Levi, "who must slay if he cannot pervert. For he clamours for tolerance towards himself but takes good care in what sense it shall be extended to others". But if the opportunity to plant a seed in their barren soils presents itself, you should do so. A good seed may lay dormant until the experiences of their lives has watered their soil with tears and enriched it with the ashes of their dreams, sprouting into a beautiful flower of wisdom, years—or lifetimes hence. It is possible that you yourself are on the Path because someone, at some time, planted a seed in you. A kind soul did the work of the Master on your behalf and you are now reaping the benefits of that kindly act. This is the Way of Service and it is the only Path you can take if you want to reach one of the Masters. There are no short-cuts to be had on the Path to the Light. We all have to travel the same road and overcome the same obstacles in order to obtain our Goal, and only the strong and steadfast, the loving and faithful, will be crowned with success. Let us at all times remember that even the Masters had to travel along this Path in times gone by, and for this reason they understand fully our aching hearts and our yearnings, but they also know that the Reward is well worth striving for. They know that it is necessary for man to live through material darkness, for we can only be born into the Light from this darkness. But before we start longing for this Birth, we must reach a point where we feel the limitations and the powerlessness of the darkness. We must long, with our whole hearts and minds, to live within the rays of the Light, and we must fearlessly face the Truth. If the Truth hurts, we must have the ability to look within ourselves for the fault, rather than change the Truth in order to spare ourselves. Then, and only then, can we hope to be noticed by the Masters who live within the Light. If all the known Upanishads were collected into one volume, they would make an anthology about the length of the Bible. The spirit of the Upanishads can be compared with that of the New Testament summed up in the words 'I and my Father are one' and 'The kingdom of God is within you', the seed of which is found in the words of the Psalms 'I have said: Ye are gods; and all of you are the children of the most High'. The Bhagavad Gita could also be considered an Upanishad; and at the end of each chapter we find a note which begins with the words: 'Here in the Upanishad of the glorious Bhagavad Gita'. In theory, an Upanishad could even be composed today: a spiritual Upanishad that would draw its life from the One source of all religions and apply it to the needs of the modern world. The central message of the Upanishads is that God must not be sought as something far away, abstract, and separate from us, but rather within us in the Higher Self which transcends the limitations and littleness of our earthly personality. In rising to the best in us we rise to the Higher Self in us and to God Himself. Thus when the sage of the Upanishads is pressed for a definition of God, he remains silent, meaning that God is silence. When asked again to express God in words, he says: 'Neti, neti', 'Not this, not this'; but when pressed for a positive explanation he utters the sublimely simple words: 'TAT TVAM ASI', 'Thou art That'. Brahman is described as immanent and transcendent, within all and outside all. If the All is imagined as a triangle, the apex might be imagined as God transcendent, who in his expansion creates matter out of Himself—not out of nothing as science believes—and thus becomes immanent until the end of evolution when the immanent has once again become transcendent in the ascension of evolution towards Him. Why? For the joy of creation. Why is there evil? For the joy of good arising from it. Why suffering? For the instruction of the Higher and lower self. Why darkness? That the Light may shine the more brightly and gloriously. This teaching is as old as man and the very essence of true occult science. The Upanishads introduce the reader to the conception of a fourth state of consciousness, above waking, dreaming and deep sleep. The law of attunement, wrongly called Karma—which we discuss in our study course—explains the apparent injustice in the world with sublime simplicity. We alone are the builders of our own destiny, and the results are not limited to one life, since our Higher Self that was never born and will never die must come again and take to itself a fresh body, that both selves may have the reward of their works. Good shall lead to good, and evil to evil. From good, joy shall come, and from evil shall come suffering. And thus the grand scheme of evolution flows on towards perfection. There are two points that have puzzled some readers of these sacred texts: the problem of personality, and of the final union with God. It has been thought that because the lower self passes away and is not eternal, it is unimportant and will be lost forever. Does it mean, because Shakespeare transformed his mind into a thousand minds, because in his all-embracing sympathy he became for a time a Prospero, Hamlet or a Caliban, that his personality is forgotten? In the process of evolution the lower self is not forgotten nor entirely lost, for that which was truly great and noble within our earthly personality will be preserved in the march towards the Eternal; the transient alone is left behind, but the aroma of it becomes Eternal. 'Who knows God becomes God', says the Mundaka Upanishad. And when all the transient has been left behind, when final liberation has been attained, when our little self is lost in the greater Self in us and in the ALL, as a drop of water is lost in the sea, does it mean that all consciousness is lost? After the death of the lower self, when the small drop of human consciousness has become one with the vast ocean of Consciousness, does it mean that our individual consciousness is lost? Yes, say some spiritual teachers, both past and present but they err and err profoundly as you can read in our astral conversation on consciousness after death. The truth, as you may read in that article, is that the Higher Self gathers the spiritual qualities of every terrestrial personality into which it incarnates and adds them to its own eternal consciousness. The Higher Self has then become the Self supreme and not only has it full consciousness of its own experience through its many incarnations, but access to the consciousness of all other selves too. How could the union with God be unconsciousness, unless God Himself was unconsciousness? We all know that caterpillars die in order to transform themselves into beautiful butterflies. Free from its limitations, the little self forgets its limited life in the boundless ocean of life. It is not a death, but a victory over death, a rising and a resurrection to greater and more vivid life. This is the central message of the Upanishads and why we commend the book to you for serious study and meditation. NOTE: Juan Mascaro translated portions of several other Indian sacred texts during his lifetime. Foremost among them are the Bhagavad Gita (1962) and the Dhammapada (1973). Both are well worth reading. The occult books we have reviewed have been carefully selected as the best of their kind. We could easily have included many more books which are both scarce and expensive, but being aware of the fact that most sincere seekers have limited means we have favoured those that are free to read online, and/or are readily available in several editions and formats, both new and second-hand, at modest cost. And now we must issue a word of warning. Whilst Information Technology and the Internet have vastly increased the availability of rare and/or out-of-print books, it has also made buying definitive editions very much harder. Such books are increasingly being digitally-scanned and published as print-on-demand or e-books. Whilst some are well-reproduced, accurate facsimiles of the original editions, many are not. Some are often incomplete and contain many errors and omissions, and in the worst cases, may be completely unreadable. The only way to be sure you are not paying good money for waste paper is to buy the specific edition we recommend, or if that is not possible, contact the publisher or seller to make sure that the book they are selling is an exact facsimile of the original with no errors or omissions. We have indicated below where to obtain the occult books we have reviewed, but this information is subject to change as titles go in and out of print and/or stock and web links are updated. In most cases a web search will return results from various sellers, and it is also worthwhile contacting booksellers directly. Don't rely on booksellers' online lists of titles in stock as these are often out-of-date. Do try charity shops, as these often stock rare or unusual books at bargain prices. You will find a short list of booksellers specialising in occult books in the UK and some in the USA below. Abe books—one of the largest online sellers of second-hand books. Atlantis Bookshop is London's oldest independent occult bookseller established in 1922. Unfortunately, their website does not currently list any books but does provide contact details and opening times. Magis Books—mail-order bookseller based in Leicestershire, in the UK. Their new Wordpress site is not very usable, but they do have a good range of titles in stock. Occultique sell a wide range of classic occult, mystical and philosophical books at very reasonable prices by mail-order. Their website has a good search facility and their list of titles is wider than most. Treadwell's—esoteric bookshop is located in London. Founded in 2003, it sells new and second-hand books on a wide range of occult, metaphysical and mystical subjects, including many rare and out-of-print titles. Watkins Books—esoteric bookshop in London, established over 100 years ago. Watkins have an extensive list of books on philosophy, metaphysics, mythology, the occult sciences, astrology, magic and mysticism, both new and second-hand, including rare and out-of-print classics. Weiser Antiquarian Books—mail-order bookseller based in Maine, USA. Weiser stock many classic books on Alchemy, Hermetics, Theosophy and Mysticism, including many scarce and out-of-print titles. However, the rarer items Weiser sell are often VERY expensive, so if you are on a tight budget, it is best to look elsewhere for cheaper editions or reprints. Wizards Bookshelf—mail-order publisher and bookseller based in Michigan, USA, published the H. P. Blavatsky Secret Doctrine Reference Series, which includes such rare and valuable titles as On the Mysteries of the Egyptians, Chaldeans and Assyrians by Iamblichus. Wizards Bookshelf also sell such metaphysical classics as Mabel Collin's Light on the Path, A. P. Sinnnett's Esoteric Buddhism and H. P. Blavatsky's Studies in Occultism. OCCULT-MYSTERIES is a not-for-profit, non-commercial venture with no financial or commercial interest in any of the books we review and recommend on this page or elsewhere on our website. We receive no referral fees or any other remuneration from publishers, authors, agents or booksellers, nor are we interested in selling or buying books. The only exception to this is any books we may choose to publish in future under our own imprint. See our Terms & Conditions for more information.